JT Harding had the typical corporate career, rising through the ranks in advertising before the depressed economy intervened, and the chance of a lifetime presented itself. As a child Harding enjoyed art, choosing to copy pictures from how to draw books rather than play with GI Joes like his friends. This though was very much a hobby for young Harding who went on to earn a degree in Visual Communications. Advertising and marketing beckoned, and for many years Harding had a successful career as a designer and art director for several Philadelphia advertising agencies. But Harding wanted to increase his skill set as an artist. 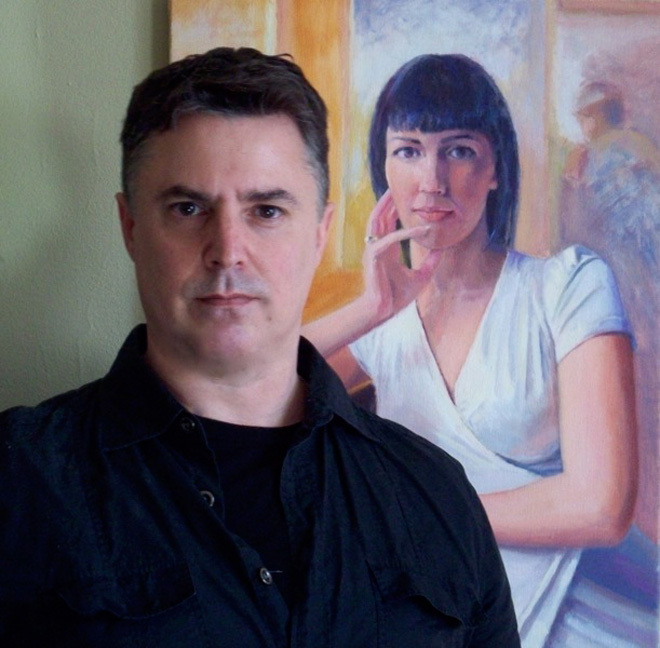 Harding’s research into appropriate courses led him to discover Aimone Art Services. 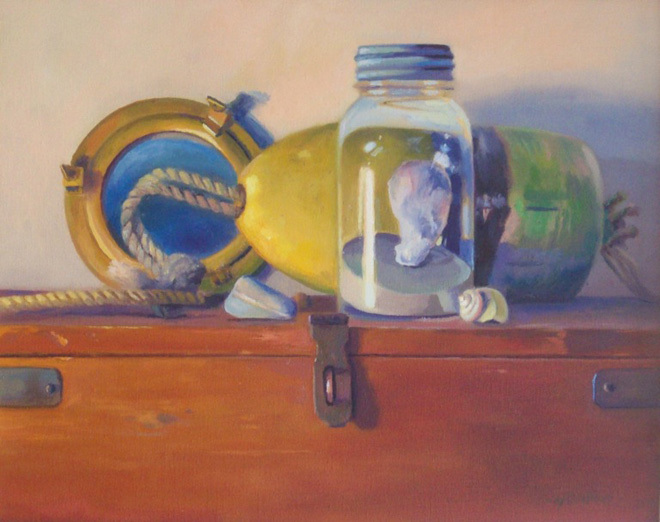 In the summer of 2006, Harding took one of their courses on Monhegan Island in Maine - Composition with Landscape as Reference - which reignited his passion for his craft. 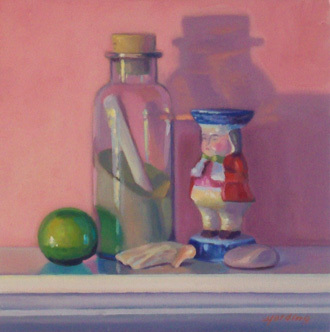 Harding went on to take several more courses over the next few years at Studio Incamminati, a school for contemporary realist art, in Philadelphia. There he was taught by students of the Maestro Nelson Shanks who was a student of Henry Hensche. With the economy deteriorating, Harding was laid off in 2009. 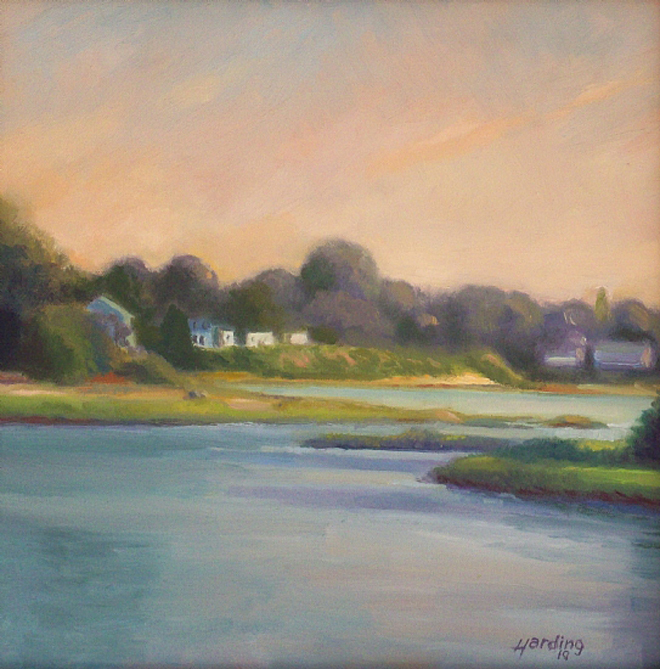 Harding, like hundreds of others, applied to the Artist-in-Residence program of the Cape Cod Art Association, and much to his delight was successful. 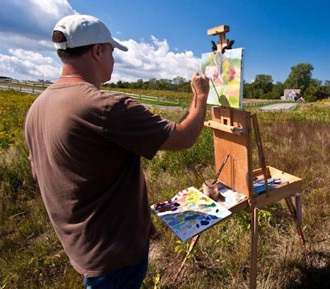 So in the summer of 2010, he found himself in Barnstable, Massachusetts, a delightful town on Cape Cod, where he was provided with somewhere to stay and the opportunity to dedicate himself to painting for two weeks. The courses Harding had taken proved invaluable and during his residency he completed ten works of art. These were then constructively critiqued by both well known artists and gallery owners, giving Harding insight in the marketability of his work. 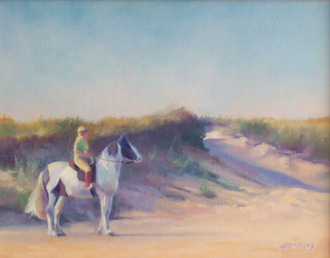 At the end of his residency the Cape Cod Art Association housed his first solo exhibition - Capescapes and More. The exhibit provided much needed exposure to the up-and-coming artist, and in addition to selling some of his work, one of his coastal landscapes was auctioned to benefit awareness and research for pre-screening of Ovarian Cancer. The residency kick-started Harding’s career on the Cape, and he decided to take the plunge, moving full-time to East Walpole, Massachusetts. 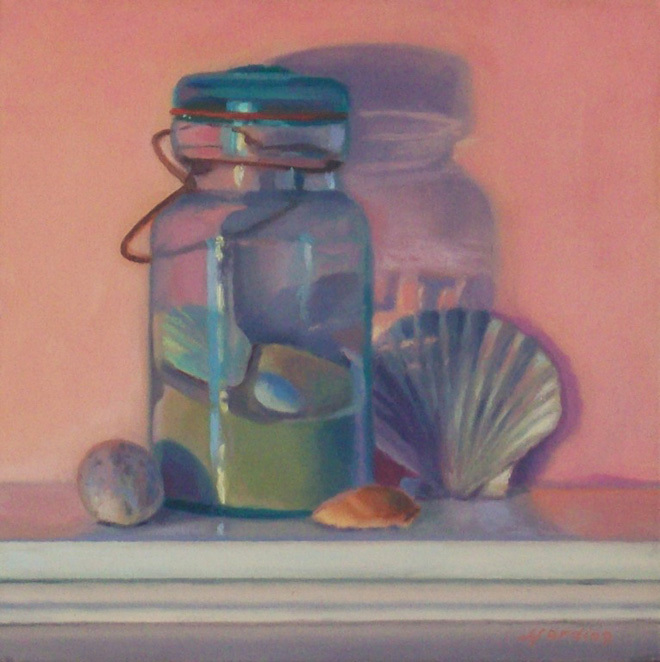 Harding is currently working on a series of paintings that in some way represent the towns on Cape Cod, featuring shells and other beach finds along with other cherished keepsakes, amongst them is Wellfleet Treasure. 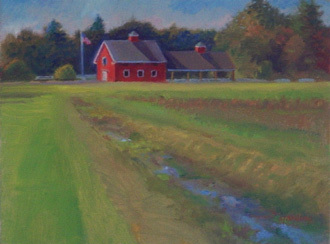 Although he is naturally drawn to seascapes, other items can catch his eye, such as the red barn at Adams Farm in Walpole. The Friends of Adams Farm, seek to protect the 365 acres of town-owned farm land and the adjacent properties which are nearly equal in size. Harding is a supporter of this effort to maintain open spaces for future generations, and will be taking part in their annual paint-out in the summer of 2012, where painters and other artists gather on the farm to capture the amazing scenery. 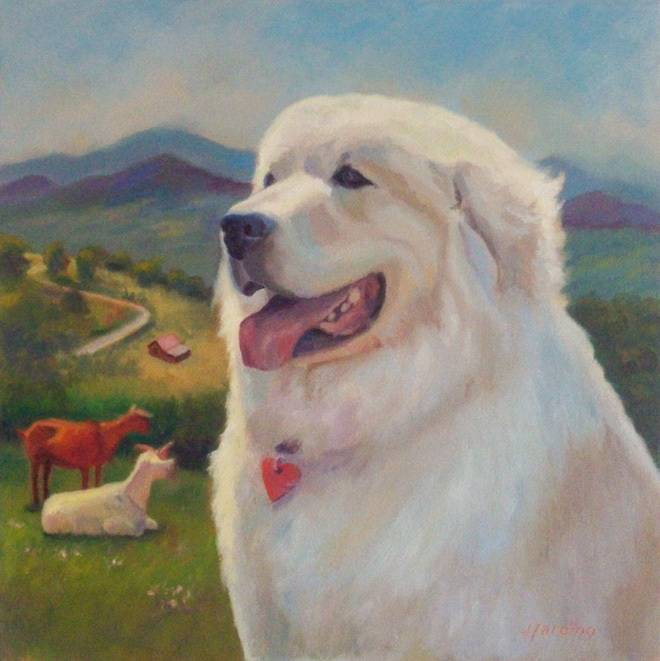 Harding can also be commissioned for portraits of both people and much loved pets. To see more of Harding’s work visit his website, where in addition to originals, limited edition prints on canvas will soon be available.